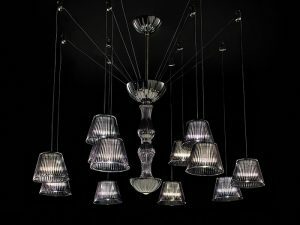 Modern Crystal Chandelier Pendant made with violet transparent crystal glass, Swarovski elements pendant, and chrome metal finishes. 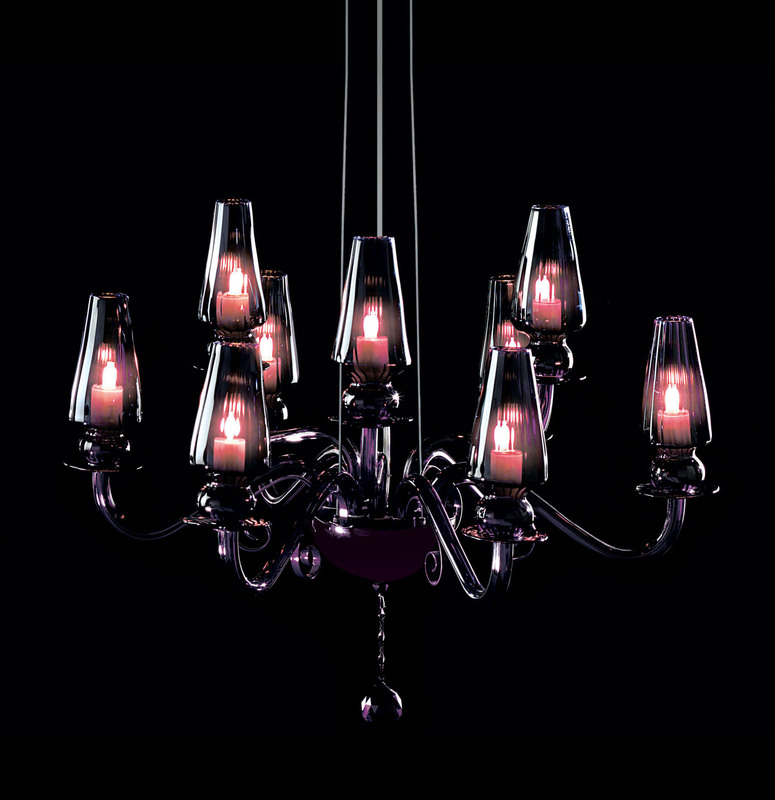 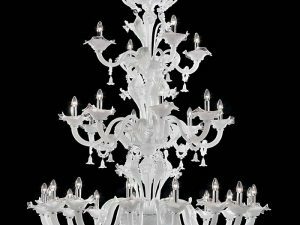 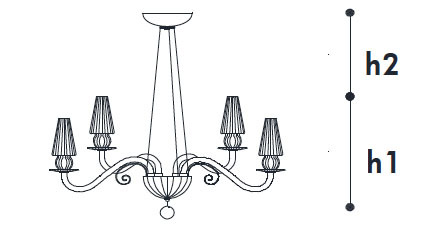 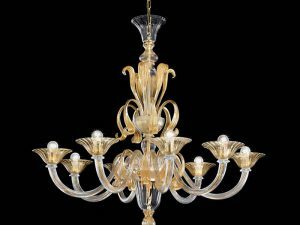 It is beautifully crafted modern Italian lighting and glass artwork. 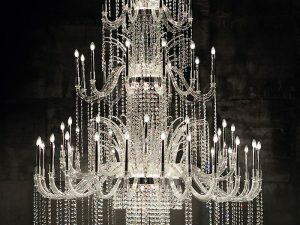 Depended on choosen size of the modern crystal chandelir pendant it is perfect fit for 8.5 – 10 foot ceiling as well as large open spases.